As confirmed by EurActiv, the EU Commission is preparing a proposal to introduce the “European ESTA” based on the US model scheme, which requires international travelers that are exempt from visa requirements, to apply online and pay a 14$ fee before entering the territory. This proposal came due to heightened security concerns after the recent terrorist attacks and bombings in Brussels and Paris. 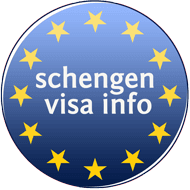 “The European ESTA will be applicable for the people who are not subjects to visa requirements before entering the EU territory, like the US citizens” – said the French Interior Minister, Bernard Cazeneuve. Paris and Berlin are pushing for this scheme to introduce a pan-European system for all international travelers who wish to enter the EU territory. “The idea behind the proposal is to strengthen the controls at the external borders of the European Union” – have stated both, the French and German Interior Ministers on August 23rd, 2016. A legislative draft will probably be tabled in November – according to an EU source that has reported to the EurActiv. First, the idea was mentioned in June when the EU Commissioners Dimitris Avramopoulos and Frans Timmermans presented visa liberalization proposals for Kosovo, Ukraine, Georgia, and Turkey, together with an entry/exit system. The European ESTA idea can also be traced back to 2011, when PWC – a consulting firm performed a study for the Commission, presenting policy options on how to put a European ESTA system in place. “Because we welcome the Franco-German proposal, we announced in June that we would be making proposals exactly this autumn” – told Bertaud to EurActiv over e-mail. “In this way, the ESTA would enable ensuring that there are no visa overstayers” – stated Natasha Bertaud, spokesperson at the European Commission in charge of home affairs. 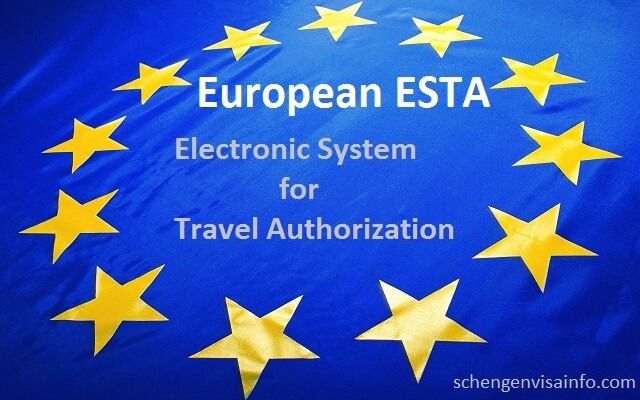 “The European system will be based on the US model of the Electronic System for Travel Authorization (ESTA) – an automated system determining the eligibility of visitors to travel in the EU. Such similar schemes also exist in Canada and Australia“– declared Cazeneuve. In May, Brussels proposed to lift the visa requirements for Turkish citizens as part of a controversial readmission deal, which would allow EU countries to send illegal migrants back to Turkey if they are not eligible for refugee status in Europe. The French and German ministers have called upon the organization of a ‘crisis simulation exercise’ in the EU external borders by the end of the year to ‘test the effectiveness and speed of deployment’ of the European Border and Coast guard, which will expand on the present Frontex agency. France has already introduced internal border controls with other countries that are part of the passport-free Schengen area, right after the November attacks. “The internal border controls will maintain for as long as the threat will require, whereas the Schengen rules will have to evolve” – stated Cazeneuve. EU countries have also stepped up anti-terrorism coordination with a pilot project called the ADEP, enabling automated transmission of judicial records between police services. Cazeneuve confirmed that Finland, Ireland, Spain, France, Hungary, and Germany are already part of the project, and if all works well, the project will be extended to all Member States of the European Union. Other proposals coming from Paris and Berlin include new EU rules to oblige mobile messaging services operators to provide access to encrypted content for the investigation of terrorism. These proposals will be put forward at an informal summit in Bratislava on September 16 where the EU Member States will gather to discuss the way after Britain’s decision to leave the EU.